Outsourcing certain corporate functions to third-party service providers is nothing new. Businesses have been outsourcing functions like payroll, IT and human resources for decades. But many mid-sized firms haven’t thought much about outsourcing these or other finance and accounting functions. Doing so can result in a host of potential benefits — including freeing finance executives to focus on tasks that add strategic value to the company. More and more mid-sized businesses today are inviting finance executives and CFOs to the strategic planning table. These companies recognize the valuable contributions finance executives can make toward their strategic planning efforts — for example, by helping evaluate growth opportunities and set priorities. § Limited ability to pursue growth opportunities. § Lack of focus and direction. § Misunderstanding of competitive strengths. relatively common among small businesses and transactional work at large corporations, but not among mid-sized firms. The article describes a $75 million company that outsources GAAP reporting, general ledger accounting, accounts payable and accounts receivable, internal audit, and other core finance functions to a financial services outsourcing company. Doing so has enabled the CFO of this middle-market business to increase time plotting strategic direction for the company. He states that this strategy will also enable other finance leaders to focus more of their time and energy on revenue generation rather than on underlying support. According to another CFO.com article2, many finance leaders say they prefer serving in a more strategic role. It points out that four out of 10 CFOs interviewed by Bain & Co. said they’d like to increase time spent with strategic planning initiatives. However, many are still spending too much time on tasks that do not add strategic value to the business. “By overinvesting their time in reconciling reports or closing the books, for example, they don’t spend enough time on more important activities based on the company’s strategic priorities, such as supporting performance management, business planning, and M&A,” the article states. § The ability to clearly determine what activities will result in creating a world-class company. § Reevaluation of the company’s position in your industry and marketplace. § Accurately assess your competitive position and eventually outperforming competitors. § Improved direction and tactical outcomes. § Stronger planning and execution results. Outsourcing certain corporate functions to third-party service providers is nothing new, but many mid-sized firms haven’t thought much about outsourcing their finance and accounting functions. Outsourcing routine finance and accounting tasks to a financial services outsourcing company can help free up finance executives’ ability to focus on tasks that add strategic value to the company. This can result in a wide range of benefits, including the ability to clearly determine what activities will result in creating a world-class company. 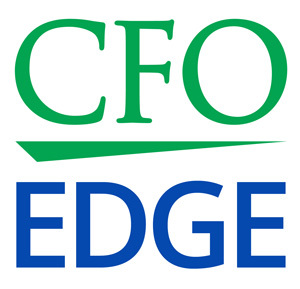 An outsourced CFO services provider can help you determine which finance and accounting tasks can best be outsourced.